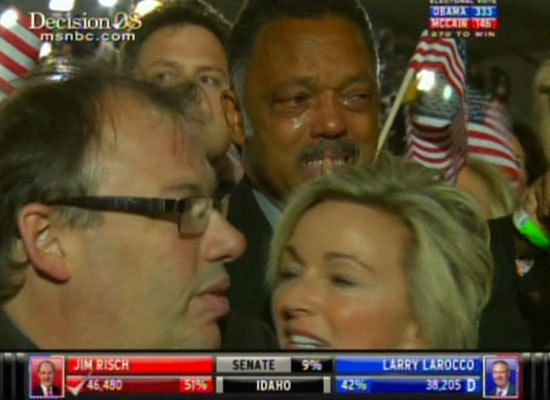 Above: From an MSNBC screenshot on the night of November 4th, 2008, Jesse Jackson, shedding tears of joy. Surely the words of Colin Powell will forever be remembered, however a tragically flawed figure he may be. 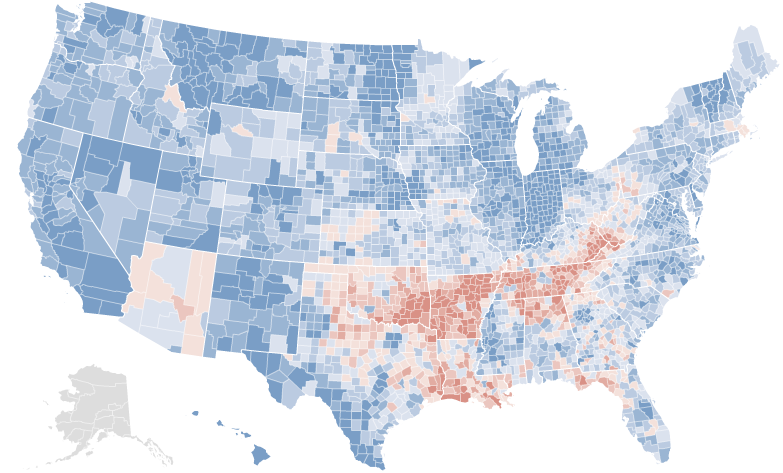 Above: From the NYTimes, another incredible interactive map, here, detailing voting shifts from November 4th. Read more. This entry was posted by Erik Brandt on Thursday, November 6th, 2008 at 9:26 AM	and is filed under Aktuell, Education, Globalization, International, News Links, Typografika.